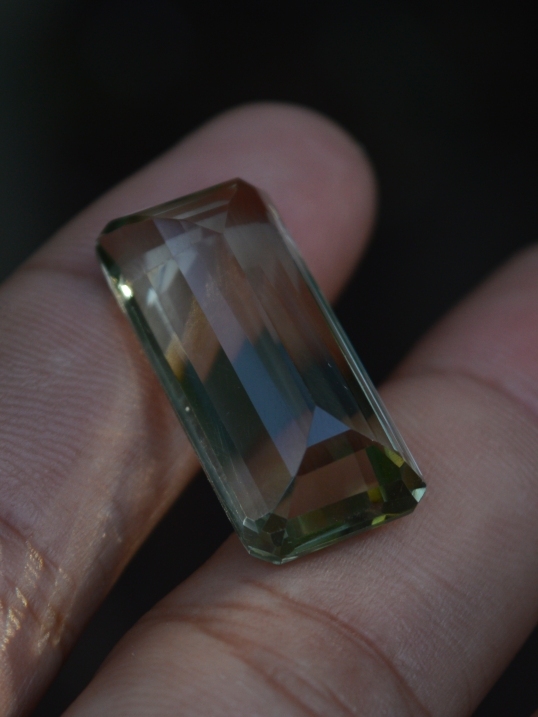 This green quartz is named Prasiolite. The cutting is good, with little defect on the corner. 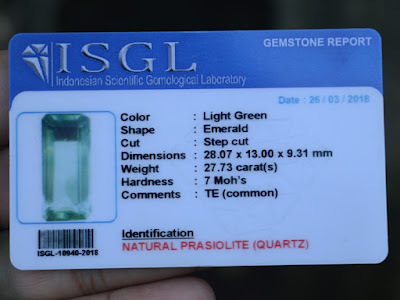 The size of the gems is 28,7mm x 13mm x 9,3mm, and weight 28,7 carats. 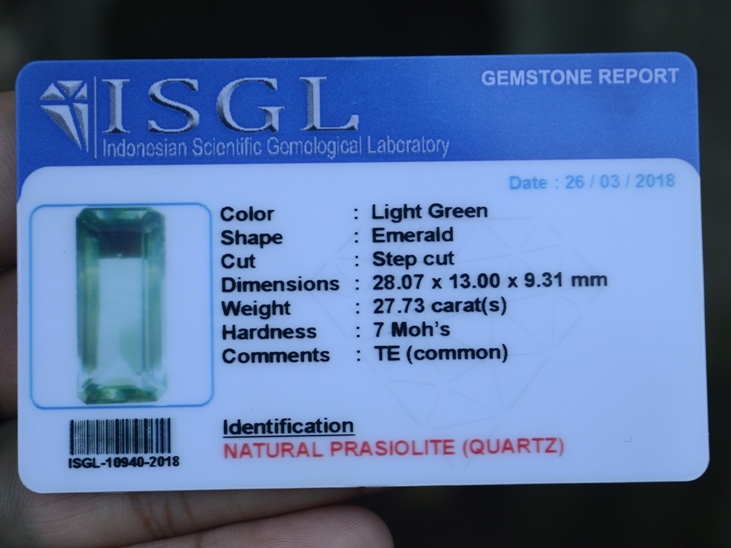 Laboratory report by ISGL Gems Lab Jogjakarta. 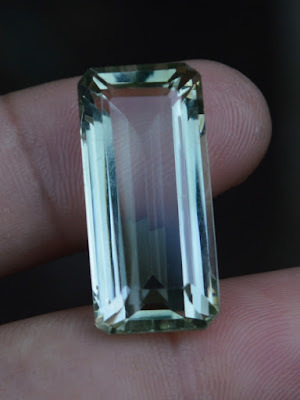 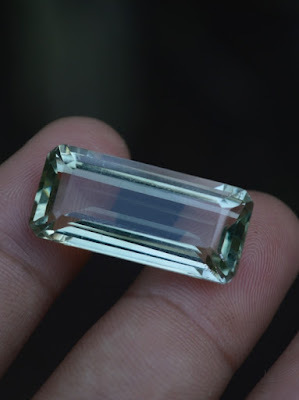 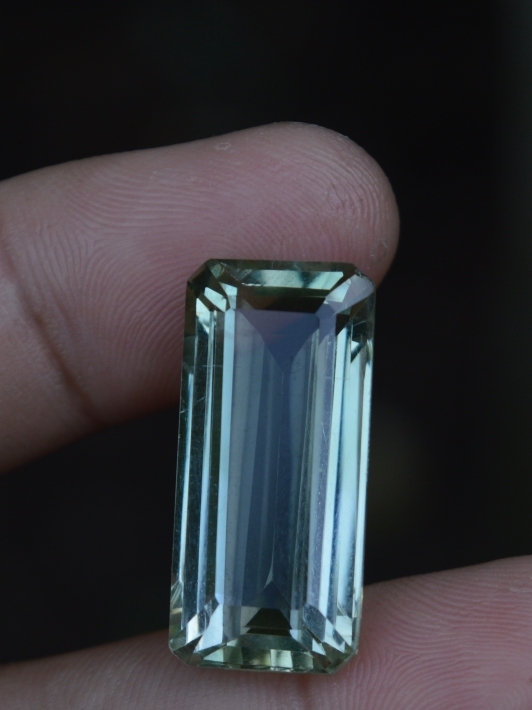 Get this beautiful Natural Prasiolite Quartz now! 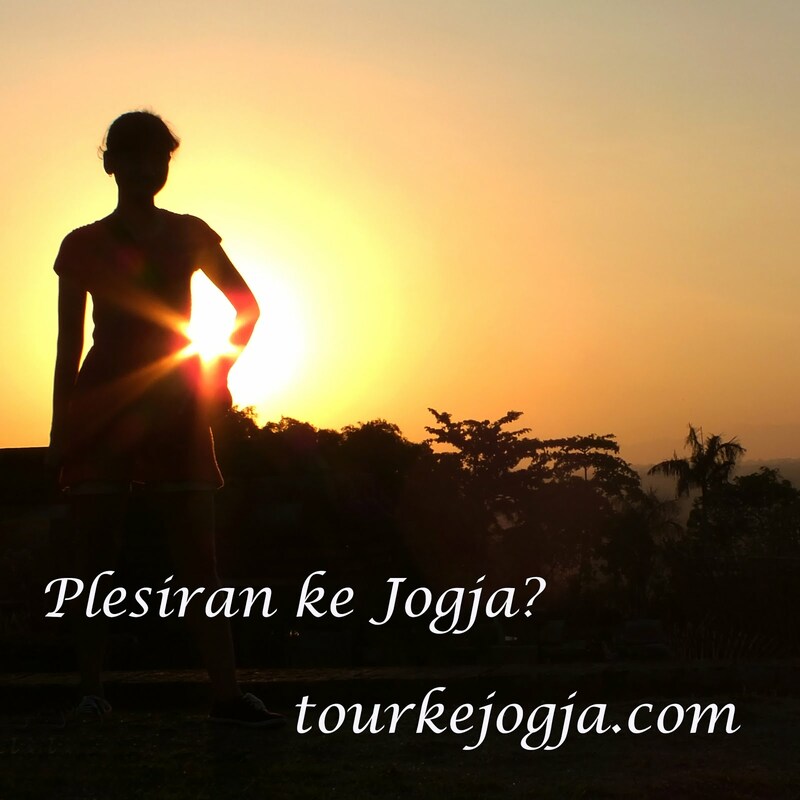 A good Sunday with sunshine.